Like you see, Pokemon Dark Future Gold post includes parts: Description (Story/Plot included in this part), Screenshots, Images, How to download. If some trailers are not available, we will add later. Pokemon Dark Future Gold : Good to see you again in the new hack at pokemonromhack.com. We want to introduce to you Pokemon Dark Future Gold. 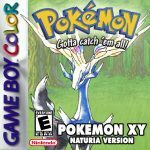 What are the differences of Pokemon Dark Future Gold and other hacks? To know that, easily, just read the below features. Pokemon Dark Future Gold is created by miksy91 based on Pokemon Gold. The main language of it is English. Yet another attempt (after Dark Future (C)) to create a better rom hack than just one with new text, maps, trainers and such. This hack is really short (just like Christmas hack), so there is not much to see, but try it out if you like.